Remember these moments. Ten years from now what would you say to your younger self? What decisions have you made in your life that has helped you become who you are today? This is the theme that women of all ages in places all over the world have reflected on in this YouTube campaign celebrating International Women’s Day on March 8th. After watching this short video, I thought about how each of these women felt the same feeling when I was growing up. Currently, I am 25 years young and can happily say that I’ve been doing my best to make each moment of my life positive and memorable. I’ve definitely have made my share of mistakes in the past—from making friends with the wrong people, to my poor attitude with my parents—but despite this I’ve realized the importance to learn from these experiences. Also, this video helped me realize how I have a unique opportunity to actually share my advice from the lessons I’ve learned in life with my younger sister Lauren, who is currently 15 years young! Ideally, I’d want her to learn these lessons from my own mistakes instead of her own, but I know that it doesn’t always work out that way so I’ll just do my best to help her. From my current experiences some lessons I’d like her to learn are not to limit herself from achieving her goals and dreams, the importance of speaking up about what she believes is right, and above all, never missing a day to laugh and enjoy the presence of her loved ones because that’s what makes life so amazing. Watch #DearME on Youtube. 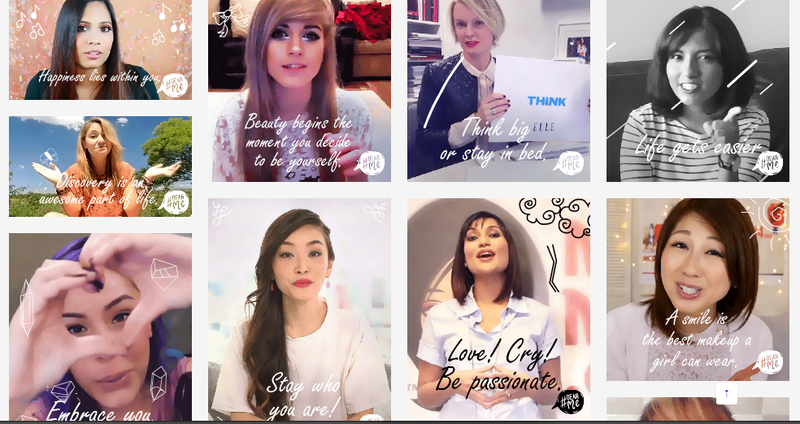 You can also explore more #DearMe advice at http://youtube.tumblr.com/. This entry was posted in Character Development, Leadership, Self Esteem and tagged #advice, #bethechange, #dearme, #dreambig, #internationalwomensday, #lessonslearned. Bookmark the permalink.